Nowadays, more and more couple after 80 is getting married. With the development of electronic shopping, they intend to buy wedding dress online. 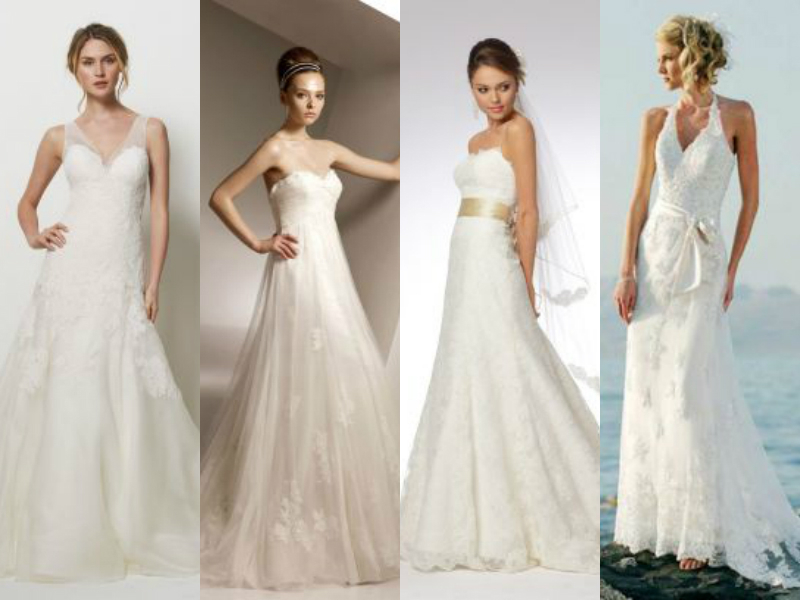 Yet for the current popular online shopping, how does bride-to-be buy wedding dresses online? There are some practical advices you should pay attention to. First you have to watching the picture of wedding dress online carefully. When selecting wedding dress, you should not take it for granted that the wedding dress is as the same as the picture shown online. Some businesses will cheat customer directly with big wedding runways or AD pictures. In fact there is a big gap between physical and photos. You must compare the overall figure with details figure and observe carefully. Secondly, measure your size as accurate as possible. As it is unable to try on the dress on occasion, measuring is particularly important. Different style needs different size. General speaking, you have to measure the stocking feet, the measurements of the chest, waist, hips and height of shoes. According to the need of different design, you must know the width of your shoulder, chest circumference, width and length of back and other dozens of data. It is better if you can offer more detailed data. Sellers will choose the most suitable size for you according to the data you provide. Thirdly, find out and have a better understanding of your style. If you are small stature, tall waist line design can stretch your proportion and make you look tall. Those compared thin bride can be plump in wedding dress with bitter fleabane skirt stereoscopic decoration on the chest. If you have a round figure, choose wedding dress of simple cut smooth lines as far as possible, otherwise, you will look more bloated with too much adornment. You had better have understanding of the version of wedding dress. You need not to be very professional. In addition, you have to learn more about material. Most sellers will be vague about the fabrics when introducing their wedding dress. Some businesses will use imported fabrics or pure hand-made to deceive the bride. So we must have some knowledge of fabric. So we are not cheated no matter shopping online or in some shops. Satin fabric: will be used in most main part of the wedding dress, the thicker than pretty. Organza is transparent or translucent veil which is covered on satin cloth or Silk. There are ingredients such as 100% pol, 100% nalon and polyester and nylon, polyester and rayon with rayon, nylon, etc. Organza is more elegant, thinner and transparent. Chiffon is soft and commonly used to make shawl or evening dress. How to tell the real senior chiffon? Cut a small piece of fabric to burn it. If it is real, there will be white smoke and sweet smelling. Lace is originally used as a supplementary material. It has a finely crafted sense of luxury and romance idiosyncratic. Price of French lace is quite high. Hope the advice above can do you a favor when purchasing wedding dress online.